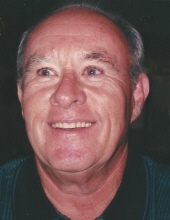 Celebrating the life of Glenn A. Riedel, Jr.
Obituary for Glenn A. Riedel, Jr.
Glenn A. Riedel, Jr., 77, husband to Lois Gumm Riedel, passed away Wednesday, January 30, 2019 in Lexington, Kentucky. He was born on April 12, 1941, in Washington, D.C. to the late Glenn A Riedel, Sr. and Elsie Lambert Riedel Fearing. Glenn was a member of Georgetown Baptist Church. He received his Bachelor & Master degrees from Eastern Kentucky University, Rank 1 from Morehead State University, and was a member of El Hasa Shriners in Ashland, Kentucky. Glenn was active in Friendship International of Lexington, involved with Feed the Hungry Program, former president of the Kentucky High School Principal Association. He served on several committees at First Baptist Church Ashland and Georgetown Baptist Church. He was very active in civic affairs in Ashland including Ashland Park Board, and East Greenup Kiwanis Club. Glenn retired as Superintendent at the Ashland Independent Schools. Along with his wife, he is survived by daughter, Laura Jo (Don) Wilshire of Georgetown, Kentucky, son, Glenn Allan (Linda) Riedel of Summerville, South Carolina, grandchildren, Kyle & Megan Wilshire and Madison & Austin Riedel. Glenn was preceded in death by brother, Johnny Fearing. Visitation will be held on Sunday, February 3, 2019 from 2-3pm at Tucker, Yocum, & Wilson Funeral Home with service beginning at 3pm with Rev. Alan Redditt officiating. Graveside service and burial will be 2pm Monday, February 4, 2019 at Woodland Cemetery in Ironton, Ohio. In lieu of flowers, donations may be made to Bluegrass Hospice Care, 2312 Alexandria Drive, Lexington, Kentucky 40504; Friendship International Lexington, 3100 Tates Creek Road, Lexington, Kentucky 40502; or Georgetown Baptist Church, 207 S.
To send flowers or a remembrance gift to the family of Glenn A. Riedel, Jr., please visit our Tribute Store. "Email Address" would like to share the life celebration of Glenn A. Riedel, Jr.. Click on the "link" to go to share a favorite memory or leave a condolence message for the family.